HUMBLE, TX (KTRK) -- Humble police arrested two men, accused of leading police on a chase after breaking into a Verizon store. 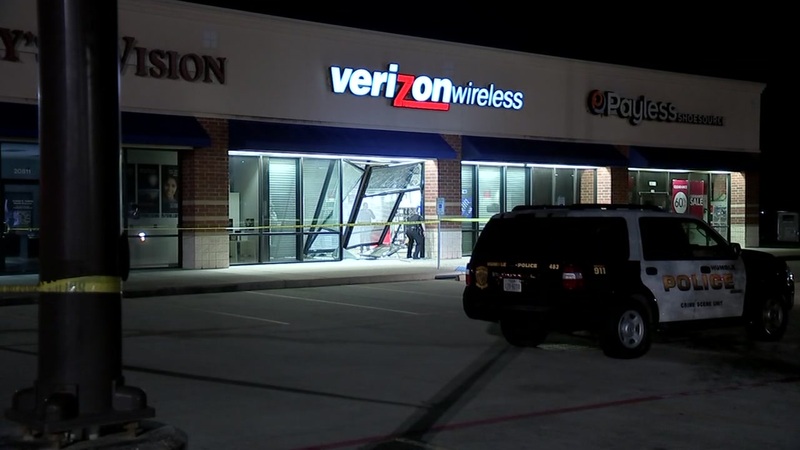 Police responded to a burglary at the Verizon at Eastex Freeway near Townsen around 2:30 Tuesday morning where they say a vehicle smashed into the store repeatedly. Officers spotted a GMC truck leaving the scene and attempted to chase them. The suspects led police to Uvalde and highway 90 where Precinct 3 deputy constables used spike strips to stop the truck. Two men were taken into custody. Police say the vehicle was stolen.